Airport to catch my Spicejet flight at 9.15 pm. I reached airport by 6 pm and the checkin counter wasn't open at that time. I spent an hour in the lobby catching up with emails and phone calls. At 7 pm, I checked-in at the Airline counter and stood in the queue for security checks. The security personnel asked everyone to keep their laptop and iPad in a tray. Normally, I keep all of my electronic gadgets in one tray, including laptop, iPad and mobile phone. On that day, I had carried with me my iPad and mobile phone. I kept just the iPad on the tray and kept the mobile phone in my bag. After clearing the security checks, I picked up my bag and moved to the seating area. I didn't realize that I had forgot to pick up my iPad from the tray. 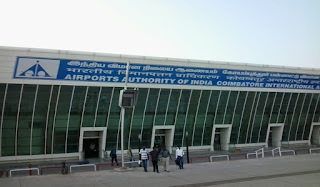 I was at the Coimbatore airport till 9.15 pm and boarded the Spicejet flight. The flight started on time (These days, Spicejet maintains on time departure ! :)). I landed in Chennai and reached home in a Ola cab. By the time I reached home, I was too tired and crashed into the bed. The next day morning when I got up and wanted to catch up with my emails, I couldn't find my iPad in the bag. I was shocked. When I rewound the sequence of events the previous day, I realized that I didn't pick my iPad from the security. I didn't know what to do. I googled to find out Coimbatore Airport's website. There was a phone number and email id published in the website for "Enquiry". I sent an email to them and called the phone number (thinking that no one will pick up the phone at 7 am in the morning). To my surprise, a lady picked up the phone on the other side. I asked her "Mme! I was traveling from Coimbatore airport yesterday night and I missed to pick up my iPad during the security checks. Can you please check if the security officers have secured it?" She turned around and asked someone "Did you find an iPad yesterday night from the security line?" I could hear the conversation... and the other person responded back positively to her. She turned to me and said "Sir! Your iPad is safe, you can come and collect it from us showing your ID proof and copy of the boarding pass". I told her that I'm in Chennai and I can request my friend to pick it up. She said "Your friend has to come up with their ID proof and a requisition letter from you". I requested one of my friends in Coimbatore for help. I sent the documents through my friend and she was able to pick it up for me. The next I received a response to my email checking if I have received my iPad. I am positively surprised by the responsiveness of the Coimbatore Airport staff and their outstanding support. It is very rare to see such committed / sincere staff in Government institutions. 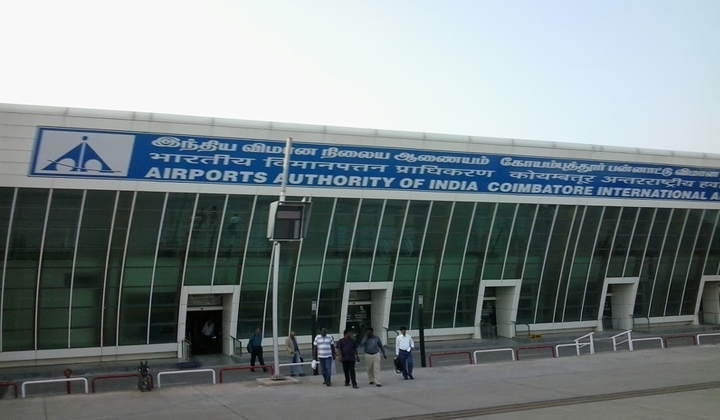 Our country is still going strong, because of officials like the one in Coimbatore Airport. I'm very thankful to them. If you are flying via Coimbatore, you don't have to worry.. you are in "safe hands". Power of Aadhar - True potential to be unlocked !